There are 405 episodes in this category. 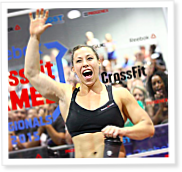 CrossFit Radio is a free service of the CrossFit Journal. The shows are live interviews and discussions about all things CrossFit. The show's hosts interview a wide variety of guests, including community members, trainers, HQ staff and even opponents of CrossFit. The topics cover the full spectrum of the CrossFit world. Interviewees speak of their experiences, insights, strategies, approaches around all aspects of functional movement and elite fitness. The shows vary in length and scope, but tend to be focused around a single interview and run about an hour. CrossFit Radio streams live Wednesday at 6pm Pacific. You can also listen to archived episodes below or by subscribing to the CrossFit Radio RSS feed. 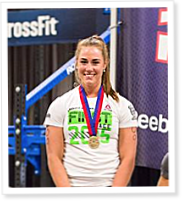 On Episode 384 of CrossFit Radio, host Justin Judkins interviewed regional champions Emily Abbott and Brooke Wells. This episode was webcast on June 4, 2015. On Episode 380 of CrossFit Radio, host Justin Judkins interviewed Jacob Heppner, who finished 18th at the CrossFit Games in 2014. This episode was webcast on May 5, 2015. On Episode 379 of CrossFit Radio, host Justin Judkins interviewed CrossFit Level 1 Seminar Staff member Jason Ackerman, as well as top athlete Travis Mayer. This episode was webcast on April 29, 2015. On Episode 377 of CrossFit Radio, host Justin Judkins interviewed two athletes who were at the top of the regional leaderboards in the CrossFit Games Open. Carleen Mathews placed first in the North West, and Christian Lucero was No. 1 in the South West. This episode was webcast on April 15, 2015. On Episode 376 of CrossFit Radio, host Justin Judkins interviewed this year’s winners of the CrossFit Games Open. Two-time CrossFit Games champion Annie Thorisdottir is featured in the first half of the show, and Mathew Fraser joins Judkins on the second. This episode was webcast on April 8, 2015.